The Welsh Rugby Union has announced that Head Coach Warren Gatland is to remain in post for an extra four years, keeping him at the helm of Wales’ international side until the conclusion of the 2015 Rugby World Cup. The WRU Group Chief Executive Roger Lewis concluded negotiations with the New Zealander over the weekend. An agreement has been reached to extend the original contract which took his tenure in charge until the 2011 RWC. Warren Gatland will continue to coach the senior Wales squad and work with the WRU Performance and Development team to develop a robust player succession plan to identify and nurture the international stars of the future. This announcement ensures long term continuity at the highest level of the game in Wales to build on Warren Gatland’s three years experience in charge of the Welsh international game. He has put in place a coaching and backroom structure which is seen as a template for the future and his continued management of its development is a massive bonus for Wales. This move mirrors the WRU stated strategy for creating long term sustainability both on and off the field and follows the record financial results presented to the WRU Annual General Meeting last week. The Wales team is now renowned worldwide for its compelling and engaging rugby with all opponents fully aware that they pose a potent threat in any game. This has been recognised by the fans of Welsh rugby across the world and by the WRU’s media and sponsorship partners. During the RBS 6 Nations tournament this season Warren Gatland will become the longest serving coach of Wales and is now set to write an important new chapter in the history of the game as the WRU enters its 130th season. His first new challenge after this announcement will be against Australia at the Millennium Stadium on 6th November in the opening game of the 2010 Autumn test Series. 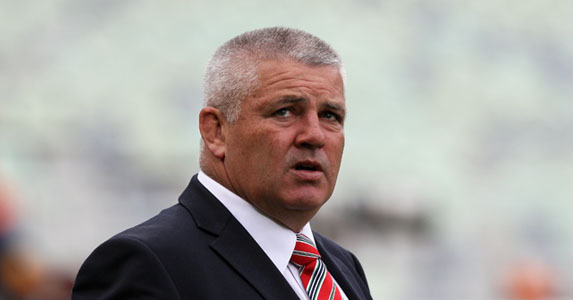 Warren Gatland said: “I am proud and delighted to have been chosen by the Welsh Rugby Union to take charge of the Wales team until the conclusion of the 2015 Rugby World Cup. “I have chosen to stay in Wales because of my confidence in the players we have, the coaching structures we have developed and the succession plan of talent we now constantly update, all fully resourced and supported by the WRU. “I know the other major rugby nations take us seriously as opponents who can play excellent rugby and that inspires me to help take this group of players even further. “There is an incredible amount of hard work ahead but, with the continued backing of the Welsh Rugby Union, the national squad now has the means to deliver what the Welsh public want. “We have a powerful agreement with our Regions, the international player pathway structure is starting to pay dividends and the WRU National Centre of Excellence is a fantastic facility. “Our best players are now developed within a totally professional structure and the backroom team we have in place boasts some of the best people around in their areas of expertise. “I made no secret of the family reasons which have made me consider returning to the southern hemisphere, but it is a measure of how devoted I am to Wales that I want to stay. “I want to personally thank the WRU and the Welsh rugby public for the fantastic support the national squad enjoys and I aim to return the compliment by devoting all my professional energy to the success of our national team in the years ahead. WRU Group Chief Executive, Roger Lewis, declared: “I am very pleased to be able to announce that Warren Gatland will remain Head Coach of Wales until after the Rugby World Cup in 2015. “We have a meticulous and professional coaching and rugby management structure in place which is a great credit to Warren. “By signing him for a further four years we have ensured that the systems in place will continue to develop for the future of the international game in Wales. “It is important that we achieve continuity at the highest level which is why we have also planned our Wales international touring fixture schedule right through until 2019 alongside our Autumn Test series. “Our five year rolling strategic plan is robust and producing strong financial results. We have a plan in place to be debt free by 2021. “On the field and off the field we are in great shape. The continuity of excellence is a supremely important factor in the preparation and development of elite, international sports teams in this day and age. “The process which led to this moment began in earnest more than a year ago and it has taken an incredible amount of hard work and negotiation to make sure we got this right for Wales and for Warren. “We operate in an extremely hard nosed environment and there was never any doubt that we had to achieve a renegotiation which was workable, meaningful and ambitious in terms of our expectations. “The board of the WRU voted unanimously in support of this recommendation. “I have great respect for Warren and I know how he lives and breathes rugby and is totally devoted to achieving success for a nation he now calls home. “He makes a lot of sacrifices to ensure he knows everything there is to know about the talent available to him and the other selectors and we can rest assured that the future of the Welsh team will now remain in safe hands. “In recent years we have forged a new relationship with our Regions through a Participation Agreement, created a new axis of talent development through our international pathway structure and created one of the best elite training facilities in the world at the WRU National Centre of Excellence. WRU Chairman, David Pickering, added: “Throughout a formidable coaching career Warren Gatland has achieved the stature which we want and expect every coach of Wales to possess. “He has made a huge and positive difference to the Wales team throughout his tenure so far and we know he will endeavour to build on that improvement in the years ahead. “I know Warren as a clear and concise student of the game who constantly seeks to be innovative and forward looking in his approach. “He operates in one of the toughest sporting environment and has the strength of will to accept and relish the level of expectation the Welsh rugby public demands.